As I take on the role of chair of the Canadian Airports Council, Canada’s airports celebrate 26 years of devolution to local management and operation for National Airports System (NAS) airports and several recent years of tremendous growth for our sector. As guardians of the traveller experience on the ground, airports appreciate that strong growth comes with some pain. Having worked at Kelowna International Airport since 1992, I have seen it grow from 894,000 passengers a year in 2004 to nearly 1.9 million passengers in 2017. By 2045, we expect to serve 3.5 million passengers annually. As the gateway for the movement of goods and people in central British Columbia, our airport provides direct links to destinations such as Vancouver, Toronto, Seattle and Puerto Vallarta. We support some 4,500 jobs and $789 million in total economic output. There are many more stories like this one across the country; collectively the economic impact of Canada’s airports is significant. The CAC’s recent economic impact study shows that Canada’s airports support more than 194,000 direct jobs. They provide $19 billion to the national GDP and $48 billion in direct economic activity. Canada’s airports have made significant investments to ensure travellers are safe and comfortable, with more than $25 billion invested in infrastructure since 1992, primarily through user fees. This includes everything from terminal expansions, more parking and safety improvements such as maintaining and rehabilitating runways. Canada’s airport model has allowed larger airports, with millions of travellers each year, to make the investments needed to ensure they can continue to add new routes and competitive choice. Reforms to the airport model, that the Federal government is understood to be considering, must not jeopardize future investment if airports are to continue to grow with demand. Meanwhile, the Federal government has recognized that many of Canada’s smaller regional airports with lower traffic volumes face challenges in sustaining both operating and capital costs. Recent Federal infrastructure funding announcements for small NAS airports across the country are providing improvements to safety and service for travellers. Non-NAS airports receive support for safety and security related projects through the Federal Airports Capital Assistance Program. While Transport Canada has made recent improvements to the program, ACAP funding levels have been stagnant for two decades and insufficient to support demand in all project categories. The CAC will be working with regional partners on ways to improve ACAP. Much more work is needed on traveller bottlenecks through our major international airports. Last year, passenger volumes were up 6.3 per cent, with international traffic growth even stronger at 9.8 per cent. While growth is welcome, there are growing lineups at security screening and air borders. Small Business and Tourism Minister Bardish Chagger has boosted the government’s investments into tourism marketing and these are paying off through record international visitor numbers. In managing the flow of international travellers across our borders, the Canada Border Services Agency (CBSA) plays an essential role to support growing air service demand and continued innovation through technology. Canada’s airports have invested $40 million in the past six years in infrastructure and border automation designed to smooth passenger processing. Nevertheless, with about 75 million additional passengers expected in the next decade, our border agency needs investment in staffing and R&D to fully engage in work already under way internationally on the use of biometrics. The Canadian Air Transport Security Authority (CATSA), the crown corporation that screens passengers, bags and workers at Canada’s airports, is not structured or funded to respond to demand. Long lines at screening, initially confined to Canada’s biggest airports, are increasingly a concern at regional airports with CATSA service. Toronto Pearson and the Vancouver International Airport spent an additional $14 million last year to supplement government funding to reach CATSA’s target of moving 85 per cent of passengers through screening in 15 minutes or less. While Transport Minister Marc Garneau has committed to improving CATSA, two Federal budgets have failed to address service levels and capital investment into screening technology has stalled. 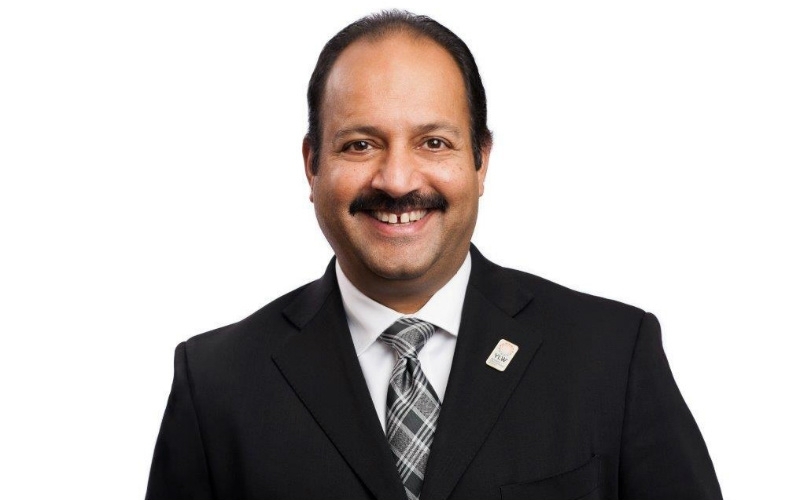 Sam Samaddar is the chair of the Canadian Airports Council, the national trade association for Canada’s airports with 53 members around the country, and director of Kelowna International Airport.